We caught up with Ashley Fouyolle the Brooklyn based graphic designer, who has launched UNWRP; a luxury gift wrap company that is truly insta-worthy. Forget your standard seasonal prints, UNWRP's launch line includes collaborations with some amazing artists from all corners of the globe, including Detroit-based artist KaceyKal. Discover how Ashley made it happen and her vision for the future. What sparked the idea for UNWRP? Well I've been a graphic designer for almost five years. I love to make things beautiful through design and I have a special appreciation for paper. 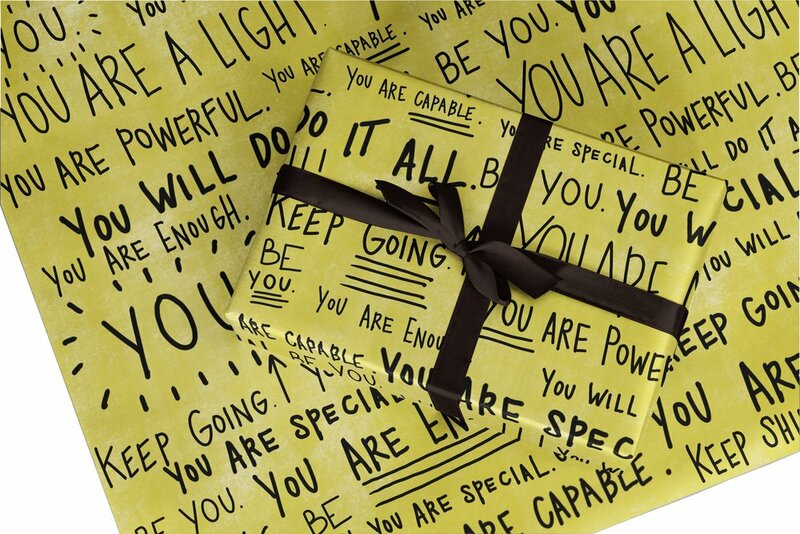 Wrapping paper, while almost always over looked, can add value to the gifting experience. That was the point where I begin to take the idea more seriously. Back in June I quit my corporate job, and without a backup plan came UNWRP. It has truly taken on a life of its own ever since. So that missed opportunity was the push. How has the transition been from a corporate role to self employment? Yes that missed opportunity was almost validation to my concept. The transition has been scary, but it’s motivating me to work even harder! What has been the hardest part so far? I’ve always been financially secure, so quitting my job without a backup was hard. I’ve blown through my savings to start my business, and now I have to work even harder to make it work and secure an income. It's a big risk but it must feel great to have taken it? I am the most happiest!! Seeing all of the support I am receiving is so refreshing! So many people, even people I haven’t spoken to in over 10 years, have reached out in support and have been sharing my story on Facebook. Honestly it still hasn’t hit me, it’s surreal! How did you find the creatives you have recently collaborated with? Most of the artists are either friends of mine or other creatives that I have respected for years. I’ve always dreamed to work with these artists so when creating Unwrp I knew I had a platform to finally bring that dream to life. Brilliant. I think we actually found UNWRP through KaceyKal one of our featured artists. That’s the power of social media! Now everyone is only 3 degrees away. I’m a strong believer of collaboration. If I have a platform that I believe someone else can benefit from then I am more than willing to collaborate. Do you have a long term vision for the brand? Honestly it changes everyday. When I first started in late October to where I am today, I could have never imagined I’d have this many opportunities. My vision broadens daily as more doors open for me. Any immediate plans for 2018? Definitely expanding; more activations and more brand collaborations. I'd also love to be sold at all major museum gift shops. What is the one thing you wished you'd known before starting your business? Nothing. I love the discovery of it all, and being able to say I taught myself how to do it. I didn’t read any self help books or business guides. I knew I had a viable product and build a brand around it. Other than yourself, which creatives should we be featuring in 2018 and why? I recently met Artist and Illustrator Debra Cartwright. I’ve always loved her work, but after having a conversation with her I saw so many similarities in our creative beliefs which made me respect her even more. She is definitely someone to look out for if she isn’t on your radar already!